The full benefit of the price increase in oil products and positive changes in the duty structure made at the end of June will reflect in the September quarter earnings of oil refiners. Accordingly, the industry’s losses on selling fuel below market prices are expected to come down sharply compared with those in the June quarter. For the September quarter, brokerages estimate such losses to be around ₹ 22,500 crore, a considerable decline from about ₹ 43,500 crore in the June quarter. While that augurs well, the uncertainty around the subsidy-sharing mechanism persists and that remains a key overhang on shares of Indian oil refiners and state-owned upstream oil companies such as Oil and Natural Gas Corp. Ltd (ONGC) and Oil India Ltd (OIL). Cairn India Ltd, the only pure crude play in the country, could see a slight dip in revenue compared with the June quarter, keeping in with the sequential fall in crude oil prices. However, that impact should be offset to some extent by the depreciation in the rupee. Broadly, analysts expect the firm’s reported profit to be hit in the September quarter, if Cairn provides a one-time adjustment for the royalty paid by ONGC previously. Meanwhile, the Singapore gross refining margin (GRM) has improved on a sequential basis and this should help Indian refining companies such as Reliance Industries Ltd (RIL), Essar Oil Ltd, Chennai Petroleum Corp. Ltd and Mangalore Refinery and Petrochemicals Ltd. Refining margin is the difference between the total value of petroleum products produced by an oil refinery and the price of the input (crude oil). Having said that, RIL’s premium to the Singapore GRM may not be high. “Benchmark Singapore GRM has averaged at $9/barrel. 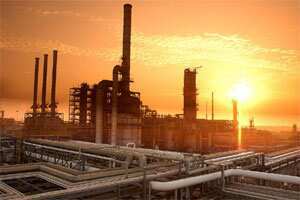 However, the same should augur well for RIL to a limited extent on account of the fact that strength in the Singapore margins during the quarter was largely a function of improved petrol and fuel oil crack, whereas the predominant portion of RIL’s product slate is composed of middle distillates," points out a September preview report from Prabhudas Lilladher Pvt. Ltd.